Taveras and colleagues asked 829 teens to wear activity trackers on their wrists to log nighttime sleep and daytime activity for 7 to 10 days. They also examined risk factors for heart disease, stroke and diabetes by measuring teens’ waist circumference, blood pressure, cholesterol, and a hallmark of diabetes known as insulin resistance. 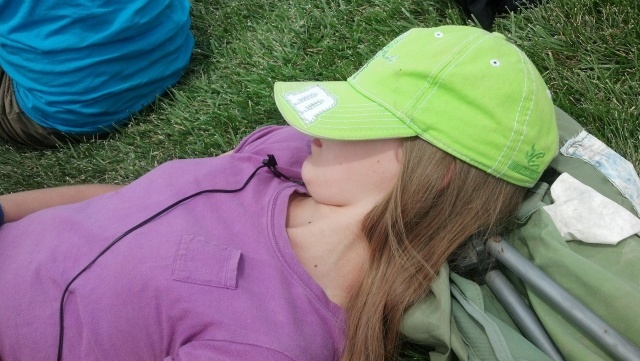 Overall, half of the teens slept for at least 7.4 hours a night, the study found. Only about 2 percent of them got the minimum 8 hours a night recommended by the National Sleep Foundation for teens ages 14 to 17 or the minimum 9 hours a night recommended for youth ages 11 to 13. Most participants had what would be considered “low sleep efficiency,” because after falling asleep, they stayed asleep for only about 84 percent of the time. Longer sleep and higher sleep efficiency – that is, staying asleep for more of the time – were associated with lower blood pressure, smaller waist circumference, less fat mass, and lower cholesterol levels, researchers report in Pediatrics. While plenty of previous research has linked insufficient sleep to a wide range of health problems including obesity, diabetes, heart disease, and mood disorders, many of these studies have focused on adults or failed to objectively measure sleep. “Interestingly, many of the relationships we observed in this study were independent of diet quality and physical activity as well as overall body fatness, which are some of the main pathways through which inadequate sleep is thought to influence cardiometabolic risk,” Taveras added in an email. It’s also unclear whether poor sleep might have caused health problems like excess fat or high blood pressure, or whether underlying medical conditions might have compromised teens’ ability to sleep. Even so, the findings underscore the broad influence sleep can have on other aspects of adolescent health, said James Gangwisch, a psychiatry researcher at Columbia University in New York City who wasn’t involved in the study. Parents need to teach children to make sleep a priority and help them develop a good bedtime routine, Gangwisch added.